HCV pathogenesis (yeast two-hybrid assays): Tripathi et al. 2010. 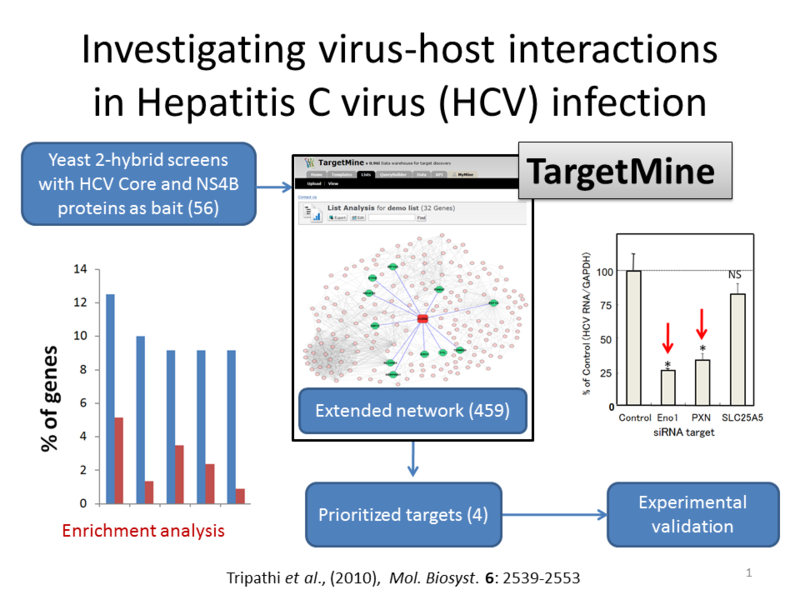 HCV pathogenesis (proteomic data): Tripathi et al. 2012. Lung tumorigenesis (gene expression): Ihara et al. 2012. HCV pathogenesis (yeast two-hybrid assays and literature): Tripathi et al. 2013. 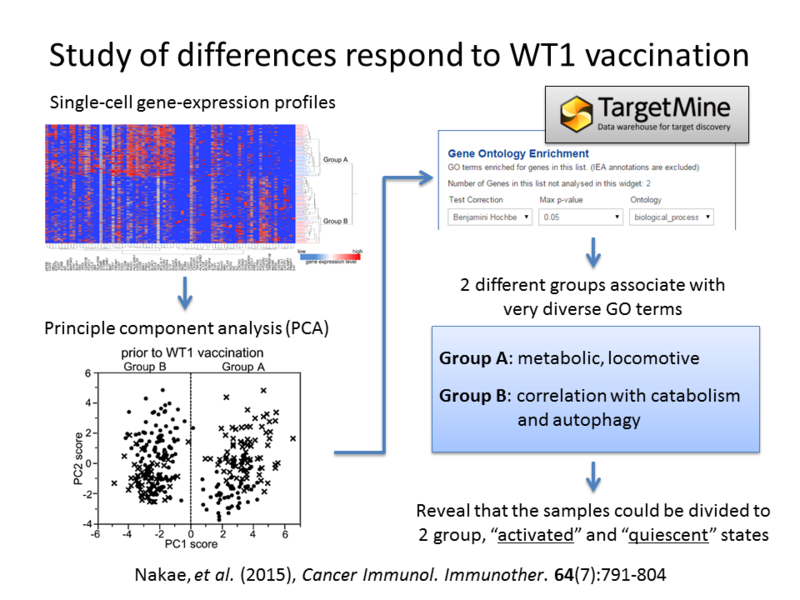 Cancer immunotherapy (single-cell gene-expression profiles): Nakae, et al. 2015. Alzheimer’s disease (genome-wide siRNA screening): Camargo, et al. 2015.
click on the figure for details. Fifty-six proteins were identified by yeast 2-hybrid screening. The proteins were combined with their interacting partners to construct the extended network. The four prioritized targets are enolase (ENO1), paxillin (PXN), SLC25A5 and vinculin (VCL). In order to understand the roles of PA28-gamma in HCV infection, we compared and investigated the levels of cellular proteins in transgenic mice expressing HCV core protein in the liver (an in vivo model of HCV pathogenesis) With or without knock out of PA28-gamma expression. 83 genes of the single-cell gene-expression profiles were divided to 2 different groups by the principle component analysis (PCA). Genes that positively contributed to inclusion of single cells in each group were identified by the PC1 loading value and then performed a Gene Ontology (GO) enrichment analysis theme. The 2 groups were found to be enriched for divers GO terms and revealed that the existence of 2 different states, “activated” and “quiescent”.